Ayyappa CNC Pvt. Ltd., A Family Concern was started in the year 2004 to cater to the Aircraft and Aerospace Industries to manufacture and supply CNC machined components as per their requirements. In the span of Twelve years we have produced over a 1000 different type of components for various prestigious projects and are exporting Finished parts to countries like UK, USA and Canada for Airbus and Boeing Tire One Suppliers. India’s brainpower has been proved immense, the Technological advance and innovation our country has achieved stand proof for this. It is the constrained and dedicated efforts of a lot of small enterprises that have helped our Nation reach this cutting edge technological level. Ayyappa Industrial tool started as the cutting tool manufacturing Unit in the small scale segment in 1984. Slowly growing and making the base strong we moved into a larger apace with more technological improvements. In 2004, we started AYYAPPA CNC PVT. LTD to produce high precision components for Aeronautical Industry. The upward mobility of our unit is mainly because the company was started by a Technocrat Mr. M. Gopalakrishnan, The Managing Director. He is a diploma holder in Mechanical Engineering, passed out in 1966 and having a work experience of over 50 years.G. 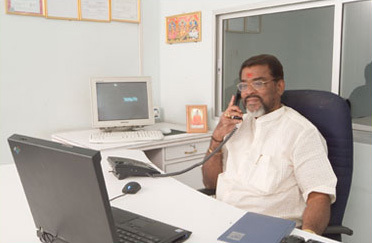 Vivekananda one of the Directors is a B.E in Mechanical Engineering. They are the two controlling power who with their sincere and dedicated effort brought high speed growth rate to AYYAPPA CNC PVT. LTD. Since our basic involvement is in the cutting tools, it was inevitable that we ventured into CNC operations. Because of this Synergic Growth, we are poised for International exposure.